Shipping can be an important part of any business structure. Many businesses need space to process their regular flow of mail and send correspondence or packages. Unfortunately, this space also takes up very valuable areas of the building that could be better utilized. Investing in a modular shipping office is a wise move for any medium or large-sized business. 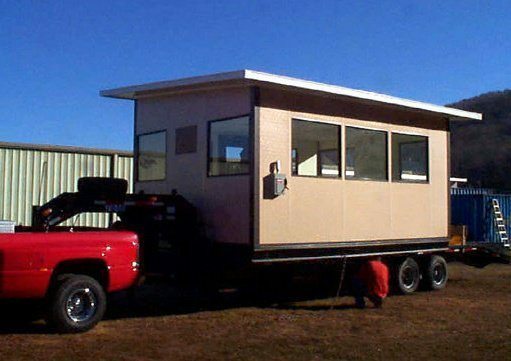 Modular buildings are already being used across the world for different purposes. Strong metal structures and low price points allow owners to take full advantage of what a modular building has to offer. The modular structure is perfect for a shipping office because it allows easy access to the mail and sorting areas without being too far away from the building. Owners also have the flexibility to add to the building whenever they wish, giving them a great design advantage. Modular structures are build off property, allowing manufacturers to cut costs significantly. By working in an assembly-line fashion, they are able to pass the savings on to the buyer. The buyer can receive their high-quality building in as little as two days when production companies like Panel Built use this method. There are many factors to consider when trying to come up with a shipping office price. Many businesses take advantage of custom options that can easily add to the cost or slow down production. Because each building is an investment, you will want to work with a company that has experience working with modular buildings, can provide you with a high-quality product and operates online. An online operation does not have many of the overhead costs that other traditional builders may have. Because their costs are less, they are able to pass additional savings on to their customers. Panel Built, for example, will show you many unexpected ways that you can save money on your project. Another thing that can greatly affect the shipping office price is the number of rooms and features that they have. Almost anything can be added to a modular building. Common additions include small break rooms with kitchens, bathrooms and air conditioning. Custom light fixtures can also be added to help improve efficiency. Your shipping office may even look like a small house upon completion. The final design is always created to fit your business’ needs perfectly. The layout of the modular system can also be adapted to help increase efficiency. Shipping offices tend to have very distinct layouts, but these will change depending on the needs of the business. Storage, for example, is crucial for businesses mailing out large boxes on a regular basis. Other buildings may require a larger sorting station or a drive-thru window to help process mail quicker. Having a simple modular structure allows you to expand quickly or rearrange parts of the building that are no longer necessary. This makes the building a more practical asset and allows the company to continue saving money long after the structure is built. The more flexible a business is, the better off it is. Corporations can easily take advantage of multi-purpose spaces. Creating the best structures available may add to the price; however, these increases are not significant enough to make it a less fruitful investment. Businesses can really thrive when they have all of the space they need. There are several options available when it comes to buying a modular building. The modular structure allows buildings to be sold when they are no longer needed, so it is possible to find a used structure. Unfortunately, not everyone has time to research used buildings for sale. This means that they need to work with a company that can not only produce a custom structure, but do so as quickly as possible. Panel Built stands by its shipping policy with 2-Day Quick Ship options available. These manufactured shipping offices are delivered ready to use. 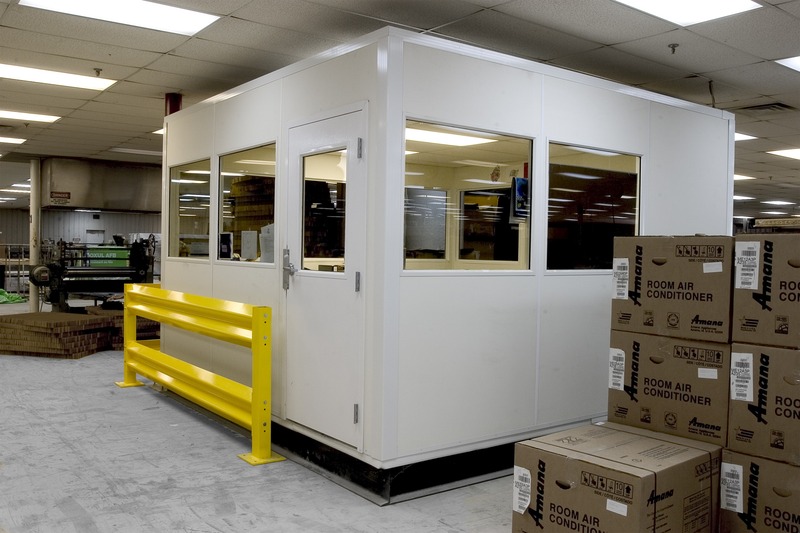 The short assembly time allows you to reduce downtime and get the most out of your space. Because of Panel Built’s extensive experience, the company has very high standards when it comes to prefabricated buildings. They use only the best materials available and work with cutting-edge technology to create structures that you can be proud to call your own. Personalized care is also important to Panel Built. Their customer service team wants to help you find a building that perfectly suits your needs and exceeds your expectations. This means paying close attention to detail and offering plenty of information on the designs they offer. If your commercial building is ready to expand, a modular shipping office may be the perfect solution to your space issues. By allowing you to place the building in previously unused space, corporations are able to start getting the most out of the property that they already own. Whether you own a factory, warehouse or large commercial building, your shipping office is important. Having the space to properly distribute your mail will increase efficiency throughout your building, allowing you to complete projects at a much faster rate. Contact Panel Built today if you are interested in finding a shipping office for sale in your area. A Panel Built customer service representative will be happy to provide you with more information so that you can make an informed decision about your purchase.